Norwegian non-stop flights from London to Buenos Aires for £429! Norwegian cheap non-stop flights London to Rio de Janeiro for £320! TUI Airways UK promotion code 2019 – £150 discount off long haul flight holidays! Another great deal from the United Kingdom to South America based on current promo sale of Norwegian Air UK. This time you can book greatly discounted flight from London Gatwick to Buenos Aires, Argentina alreayd for £429! As is previous case London to Brazil there is only 10kg hand bag in base fare. Any other service (checked luggage, onboard meals, seat reservation) is available a a package for £50 each way. Considering this is a non-stop service this is till good option for anyone looking for best value flights on this route rathen than the cheapest option available..
At this moment great availability with Norwegian Air UK when departing from London to Buenos Aires from 1st of April to 25th of June 2019. 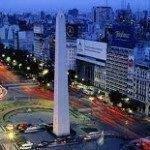 You can book your accommodation in Buenos Aires via Hotels.com or Booking.com. You can compare all travel dates at Norwegian website as this is also the best way to book the cheapest flights on this route..If interested please refer to our below booking sample also adding our previous deals from the United Kingdom to Argentina..
Travel dates. : We recommend to firstly compare the cheapest flights via Google Flights. The tool gives you almost instant result and you can easily browse throughout all the months. You can then book this deal directly with Norwegian or your preferred booking agent. Booking sample of Norwegian non-stop flights from London to Buenos Aires for £429! Also as per above booking sample you would depart from London Gatwick to Argentina on Saturday, 11th of May. Inbound flight from South America to the United Kingdom two weeks later on 25th of May 2019.